The Bearded Lady serves home- and handmade soulfood from Brooklyn to Bali: a cheerful mix of the best of the West and the beauty of the East with a special place in our hearts for our hearts for our Indonesian and Moluccan roots. The following are small dishes that are best enjoyed when shared. For a full meal we recommend three to four items per person. Artfully folded crispy dumplings filled with fresh French-Vietnamese chicken and Asian lime leaf, served with Korean whiskey dip. Smooth but spicy and our interpretation of a vegan Rendang made from jackfruit, the “Kalimantan Jack”. Served with a yuzu salad on Chinese pancakes. Miss Inte, or miss Green as we sometimes call her, is dreaming up our Asian fusion salad of the day with lots of soul and care. Sssssso Asian and yet sssssso Dutch comfort dish with Jerusalem artichoke, watercress, water chestnut, nuts, lemon mayo and homemade hoisin sauce. An old favourite of the Lady with the Beard: Crispy cauliflower served with a creamy comfort sauce of coconut andTurmeric. ‘France meets Japan’ über soulfood dish with organic chicken and French cream sauce with tarragon, white grapes, lentils and miso. A Lady with the Beard special, the ribs are marinated with honey and pepperdjam, then left in the oven to cook to tender perfection. Because of our kitchen capacity you can choose one of the following menu’s for groups over 6 people. Please let us know your choice one day ahead. Soulfood tasting menu 3-courses € 35,- p.p. A selection from the most famous Pan-Asian dishes of the Lady with the Beard. Of course with Dr. LeMette’s notorious Rendang, the pangsits with Korean whiskey sauce, the cauliflower tempura and other classics with a special place for our Indian and Moluccan roots! Soulfood tasting menu of the chef 4-courses € 42,50 p.p. The Chef’s menu are THE most tasty soulfood classics of the Lady with the Beard. Dished from Brooklyn to Bali. Rough, elegant and cheerful. With the uber umami French-Japanese Dragonfly chicken, duck breast with a 100-year marinade, Kalimantan Jack; all specials together in one cheerful, funky and elegant menu with some space for seasonal based dishes. We use organic and fairtrade ingredients as much as possible and we try to keep our prices agreeable for everyone. With cinnamon ice cream, whipped cream and spekkoek liqueur. The proud owner of the title 'Best Japanese whiskey of 2018', this one is guaranteed to be an exceptional finish to a perfect meal. Rich, full, sweet with a touch of spice, this is the ultimate after dinner beverage for those who still have some space left over for a little dessert. Savour the soft flavors of chocolate, cream, caramel, vanilla and a hint of coffee. Sentimentally balancing on the fine line between drink and dessert, Tini combines the strength of vodka and an espresso shot with the sweetness of caramel and the melancholy of ‘Lonely for you only, Patricia!’ Amsterdam brewed coffee liqueur. Staff favourite, especially on a rainy night. A birthday, after wedding party, drinks, business gatherings, presentations, private dining; we open our doors for whatever event you can think of. And if you like it, Carl Lemette and Mas van Putten love to talk about the mission of the Bearded Lady. About the drive, turning your weakness into a strength, intractability and the life of the Bearded Lady. They love to share their stories about the power of soulfood, where the best of the west meets the beauty of the east. 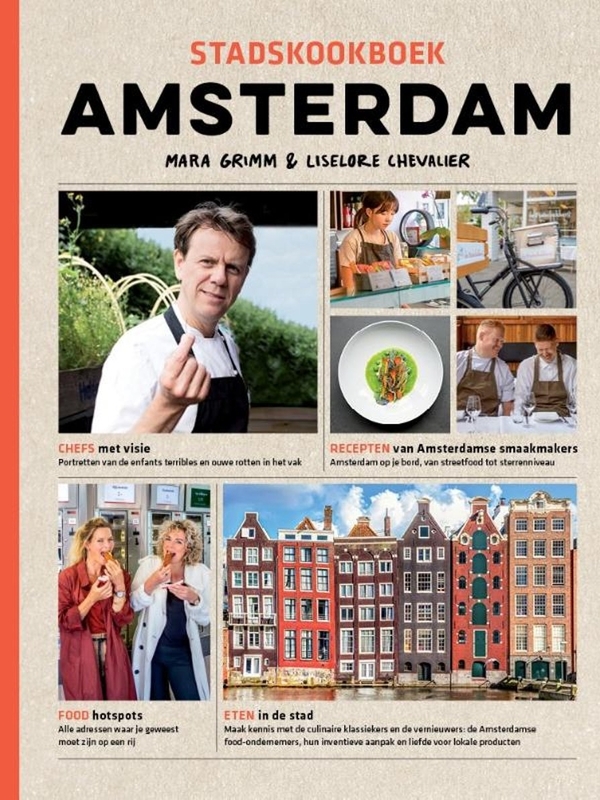 We ended up as the 5th best restaurant in Amsterdam according to “Proefwerk” in the Dutch newspaper De Volkskrant. We are still so proud of our 8,5 out of 10. We got a spot in the French restaurant guide “Gault & Millau”! They wrote they’ll come back for the vibe, food, drinks and DJ! Once upon a time we started the Bearded Lady to give us the perfect excuse to fill our kitchen table with friends. Our secret ingredient is some nostalgia, so they will come back time after time. Probably a little handicap about loving and being loved. But cosy for sure, all gathered around the kitchen table. That table became too small, so we started our deli in the city center of Amsterdam. With our European, Indonesian and Moluccan roots, the Bearded Lady has developed an Asian and Western style of cooking where east meets west in ingredients and recipes. We call it food for travelers and dreamers. We mix Asian fusion, French and old-school Indonesian to serve a diversity of heavenly snacks and sophisticated menus. Follow our latest adventures on Facebook and do some daydreaming with our Soulfoodmix on Spotify.